Italy to join the US$1-trillion Belt and Road Initiative, despite misgivings in Washington and Brussels. Italy will be the first G7 nation to sign up for the Asian giant's new Silk Road. 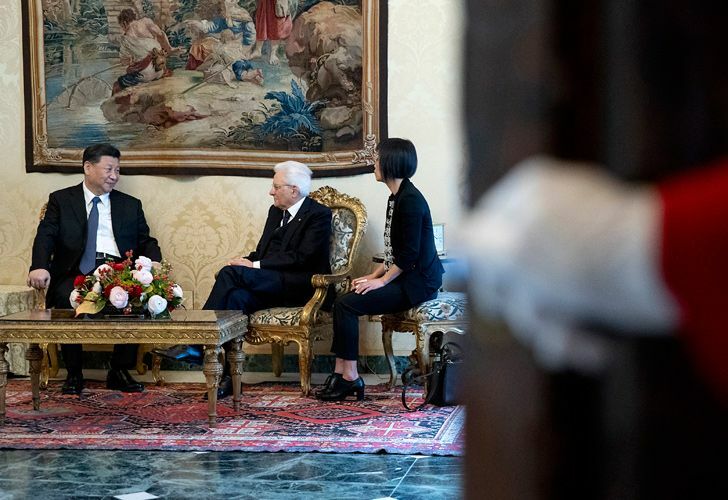 Chinese President Xi Jinping sought to allay Western unease over his new Silk Road initiative on Friday, emphasising the vast infrastructure project's two-way nature as he kicked off a whistlestop European tour in Rome. Italy has rolled out the red carpet for Xi, who will on Saturday sign a memorandum of understanding for Rome to join the US$1-trillion Belt and Road Initiative despite misgivings in Washington and Brussels. Italy will be the first Group of Seven most-developed nations to sign up for the Asian giant's new Silk Road, which critics say is "predatory" and overwhelmingly favours China and Chinese companies. Mattarella said that business must go "in both directions... with fair competition, respecting intellectual property rights and while fighting counterfeit goods." "Today we say 'Italy first' in trade relations, while remaining US allies, in NATO and in the EU," Deputy Prime Minister Di Maio of the anti-establishment Five-Star Movement said on the sidelines of a China-Italy business forum on Friday. White House official Garrett Marquis last week tweeted that there was "no need" for Italy to endorse "China's infrastructure vanity project." As Macron arrived for an EU summit in Brussels, he welcomed what he called Europe's "awakening" to the challenge posed by China.